AUTOMOTIVE NEWS: How do you envision auto dealerships in the future? DOMINIQUE: Auto retailing today surrounds a very expensive asset and fixed-cost base. If you were to be able to think about the world over again, it needs to be leaner; it needs to have lower fixed costs. 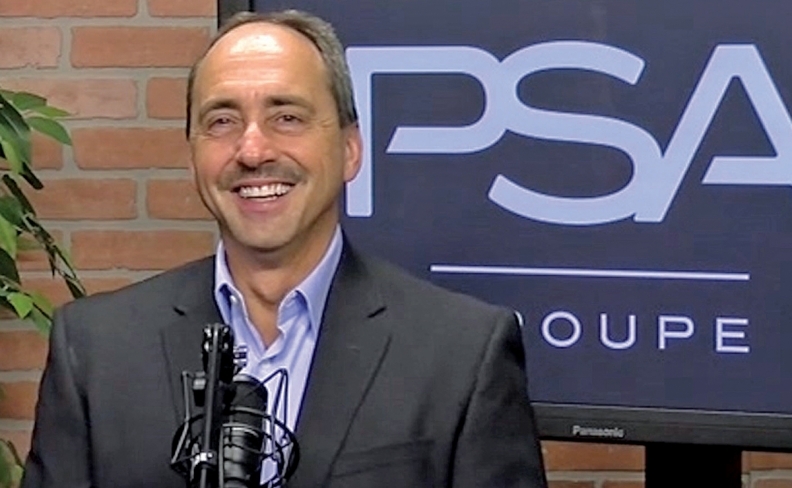 DETROIT — PSA North America CEO Larry Dominique is flirting with the idea of upending the automotive retail model. Unlike most auto execs, Dominique can afford to do so because he is starting with a blank canvas. PSA Group, the French automaker that owns Peugeot, Citroen, Opel and other brands, intends to begin selling vehicles stateside by 2026. Before that, Dominique and his lieutenants must map out a retail strategy. Dominique stressed that no decisions have been made, but one strategy under consideration involves blending software tools with a low-investment, high-margin retail network. "As a greenfield opportunity, we have the chance to look at every facet of our business and say, 'How can we do it more agilely; how can we do it with lower investment; how can we do it more frugally and with high customer satisfaction?' " said Dominique. With its North American strategy, PSA seeks to invest resources in "brand-building." In the future, Taj Mahal auto showrooms could be replaced by smaller footprint "experience centers." Technology tools, meanwhile, could be used to offload some consumer-facing services, such as scheduling vehicle delivery and pickup, so dealers can focus on their profitable service and F&I businesses. Dominique, 55, spoke with Automotive News editors and reporters here this month. Q: PSA plans to reintroduce its cars to the North American market by 2026. How far along is it in the process? A: We want to make sure that we are implementing processes and brand positioning that allows us to have a strong opportunity to step into the U.S. market and not step out again. We are homologating vehicles for the North American market. At the same time, we're looking at how we can develop a new retail experience for consumers. We have to come in in a way that refocuses our energy on customer experience, customer satisfaction, profit per unit, brand-building, not rushing just to capture market share. At the end of this year, we are going to make things a lot clearer relative to timelines. By early '19, we're going to be working more toward the next phase of getting ready to sell retail, not just planning. We have one chance to do this right. We want to make sure that we're developing the best possible way that we can be successful long term in this industry. How does PSA decide which brands to bring to North America? One of the things we're doing in planning for our launch is to understand the brand we're going to bring to the United States and the positioning of that brand. Who are the right customer targets to go after with our brand? The idea is to identify what types of customers can relate to your brand in a positive way. One of the things we found is that being a French automaker in itself has some very positive connotations. People like the association with luxury brands and design and innovation, and they associate the French with that terminology. So for us, it's a very positive aspect. What are your thoughts about future retail stores? When we think about the fixed-asset side of the business, the reality is you need to have fewer and smaller showrooms. If you already own a 12-car showroom and a 30-bay service facility attached to the back of it, you can't miraculously shrink it or reduce the price of the land it's sitting on. You need to have the ability for people to come see your products and learn about the products. I think of Apple as a good example. A third of the people [in an Apple Store] are buying something, a third are getting something fixed and a third are playing with the toys. You need a way for consumers to experience your brand. What about tomorrow's service centers? Consumers are usually twice as concerned about the distance to a service facility as a retail facility because they tend to visit them more. We need to make an experience in service that's extremely convenient for consumers. If you look at the high cost of dealerships today, you have a big showroom, a big service facility, a big parking lot all attached, and usually on fairly expensive real estate. They don't have to be mated together. I'm fine if our partners want to build service facilities on less expensive property, or less pretty service centers. There are less expensive ways to manage the business. If you make a convenient experience for customers, they are very happy not having to just go to a central location. As PSA plots its North American return, is it speaking with dealers or doing all the thinking on its own? We are being diligent in our discussions with people. We have reached out to many people, from existing dealers and dealer groups to startups, to existing tech companies. We're not just sitting in a room going, "We know everything on the planet." There are some amazingly smart and progressive auto retailers. There are some great startups that have come up with new ideas that can benefit all of us. There are existing e-commerce-based businesses and logistics-based businesses that are doing things amazingly efficiently. Dealers are carrying fewer parts than they used to. OEMs have set up great distribution systems. There are ways to partner on logistics for parts and service and other aspects of the delivery of things than just building big warehouses and owning fleets of trucks. PSA is launching a short-term car rental service in North America. What's that about? We are going to be announcing our first physical car-sharing business in North America. It will be starting in an East Coast city. We've decided to launch between 500 and 600 vehicles in the operation. What brand will the service use? We obviously don't have any PSA vehicles that are homologated for the North American market yet. So we're going to be launching car-sharing with another brand's vehicles. We are going to be launching with a mix of sedans and crossovers. The goal for us is to put the right vehicles in the service to maximize the customer satisfaction and utilization rate of the vehicles. And this really aligns with PSA's global direction. In Europe, we have already under the PSA auspices multibranded leasing, multibranded car-sharing. We believe in developing the right products and putting the right products in to maximize the customer performance and satisfaction, not just to put our vehicles in service. What is your outlook on mobility and autonomous driving? The reality is we sell 17 million-plus cars in the United States and there are 260 million cars on the road in the United States. Autonomy, as we grow, is going to be a very small drop in that bucket for a long time. I predict you're going to see autonomous vehicles in geofenced areas, in fleet-testing technologies and capabilities, until consumer acceptance is to a point that people are ready to adopt the autonomy. It's going to be urban-focused, not rural-focused. It's going to be fleet-oriented, not necessarily private ownership-based, and it's going to take us many years for this technology to grow. The rapid increase in technology associated with Level 4, Level 5 autonomy is going to allow us to bake some of those technologies into our existing cars. So the cars will become safer. We'll have better front-end collision avoidance, back-end detection and other capabilities in the cars. So it's a very positive trend. It's just that the endgame is going to be a bit farther than some, I think, expect.